Now you can receive your Western Union remittance from the comfort of your home. Dubai Islamic bank introduces this ground-breaking service for Western Union Money Transfer recipients in Pakistan. Now you don’t need to visit any bank or post office or any other WU agent to get payment sent via Western Union. Now just make a call and your payment will be credited in your account in any bank of Pakistan. 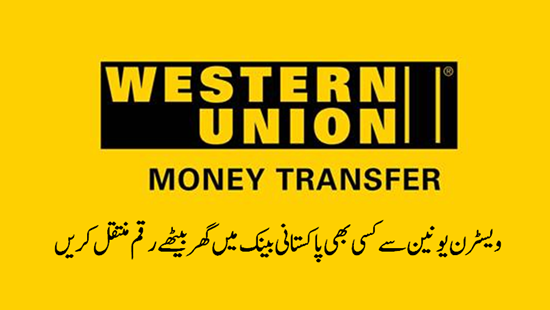 Western Union and Dubai Islamic Bank has signed a MoU on account based money transfer service in Pakistan. Western Union money transfer recipients to call a toll free number of Dubai Islamic Bank anytime, anywhere and request for transfer of their remittances directly to their bank account instead of visiting the branch physically to collect it. Most of the Pakistani webmasters and bloggers using Google Adsense prefer Western Union to get their payments. Now all Western Union beneficiaries in Pakistan can redirect their money to their account in any bank of Pakistan just by calling the help line at 0800-11342. It is safe, fast and free service. Dial toll free number 0800-11-342. Provide your 10-digit MTCN number (provided by the sender), CNIC number, name, and your bank account number (linked with 1LINK or MNET) with branch code to get your remittance transferred directly to your bank account. Your remittance will be instantly transferred to your bank account. You will receive a confirmation SMS that your money from Western Union is successfully transferred to your local bank account. You can call 24 hours a day, 7 days a week. The service is absolutely free. You can avail this service even if you don’t have an account in Dubai Islamic Bank. 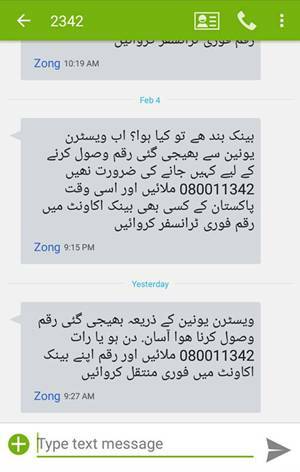 An SMS marketing campaign has also been launched to aware people of Pakistan about this new service. Following messages in Urdu, regarding this service, are sent to my mobile number from 2342. Can I transfer money from WU to my MCBlite debit card even if I don't have an account in MCB??? Please somebody answer, I'm really curious! !